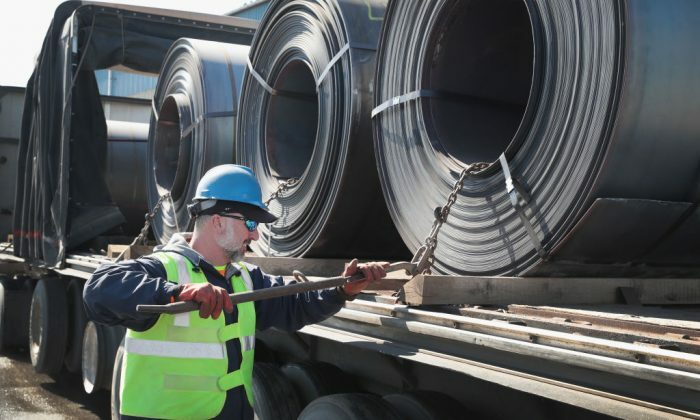 American steel manufacturer Republic Steel announced that the company is planning to restart production at its Lorain, Ohio, rolling mill by the 2nd quarter of 2019. Initially, the steel company had planned to start production in December 2018 before the date was pushed back. “Republic had expected the 232 Steel Tariffs to create additional demand for domestic production, allowing production to begin in December 2018, however, imports remain at historically high levels for products produced on this mill,” a news release said. More than 60 employees will be hired after the rolling mill underwent a complete refurbishment. The Lorain mill has a capacity of 35,000 tons per month and expects orders to come in soon. The reopening of the mill will expand Republic’s size range down to 7.5mm for carbon, free machining and alloy grades, including 12L14 and other leaded steels. “We have successfully run internal production trials, and now anticipate receiving sufficient orders to support moving to a production mode in the 2nd Quarter of this year,” the company said. Republic, the nation’s leading provider of special bar quality (SBQ) steel, had about 200 employees working in the Lorain Mill in 2016 before it was idled due to a drop in demand. Trump’s tariffs on imported steel and other efforts to boost American manufacturing have helped to revitalize a steel industry that has been in decline for decades. Tens of thousands of American workers have faced layoffs and dozens of factories have been shut since 2000 due to imports, according to the Alliance for American Manufacturing (AAM), a nonprofit organization formed by manufacturers and United Steelworkers. With the recent tariffs on imports, the steel industry is starting to seeing some positive signs. Over the past few years, steel imports have steadily increased, comprising nearly 33 percent of the U.S. steel market in 2017. The majority of U.S. steel producers have been taking losses since 2009, losing their ability to invest in new technologies and labor. In December alone, 32,000 manufacturing jobs were added. Since Trump’s election, 20,000 new manufacturing jobs were being created per month compared to 8,000 per month in the four years prior, according to the White House. The reopening of the Lorain Mill is one of the latest in a long list of optimistic industry news. On Jan. 7, Nucor Corp announced they would build a $1.35 billion steel-plate mill in the United States that would create approximately 400 new jobs. Mark Glyptis, the president of a steelworkers union, attributed the positive steel news to Trump. “The president’s probably been the biggest supporter of steel that we’ve had in many decades,” Glyptis of United Steelworkers Local 2911 told “Fox & Friends” on Jan. 8. “When he imposed the tariffs, when President Trump imposed the tariffs, that was a shot in the arm for the steel industry. It created thousands of jobs. We’re the most efficient steelworks in the world today,” he said. Glyptis said that previous administrations ignored the steel industry while it suffered enormous job losses. “So, when the tariffs were imposed, it gave us an opportunity to compete against the rest of the world on a fairer basis. So it’s created jobs and the industry right now is doing very, very well,” Glyptis said.